Minnesotans are known for their love of the outdoors, so it comes as no surprise that camping is a favorite summertime activity among many locals. Come subzero temperatures and significant snowfall, however, and the majority of folks seek cozier accommodations. We still like to be out in the woods even in the coldest temperatures, but we prefer having a warm retreat at the end of the day. This is where glamping—or “glamorous camping”—comes in. A growing number of year-round glamping options are springing up around the state to provide warm shelters for people who want to get out and enjoy the great outdoors during the coldest months. Sure these are all available in the summer, too, but there’s something particularly special about having a warm camper cabin or yurt waiting for you at the end of a long day of snowshoeing, fat biking, or skiing. From state parks to private facilities, here are some of our favorite spots for winter camping in Minnesota. Afton State Park has four camper cabins available to rent year-round that sleep five to six people, as well as two seven-person yurts. The cabins include electric heat and the yurts feature indoor wood stoves to keep you warm. If you plan on staying in a yurt, be sure to bring your battery-operated lantern, because they do not have electricity. 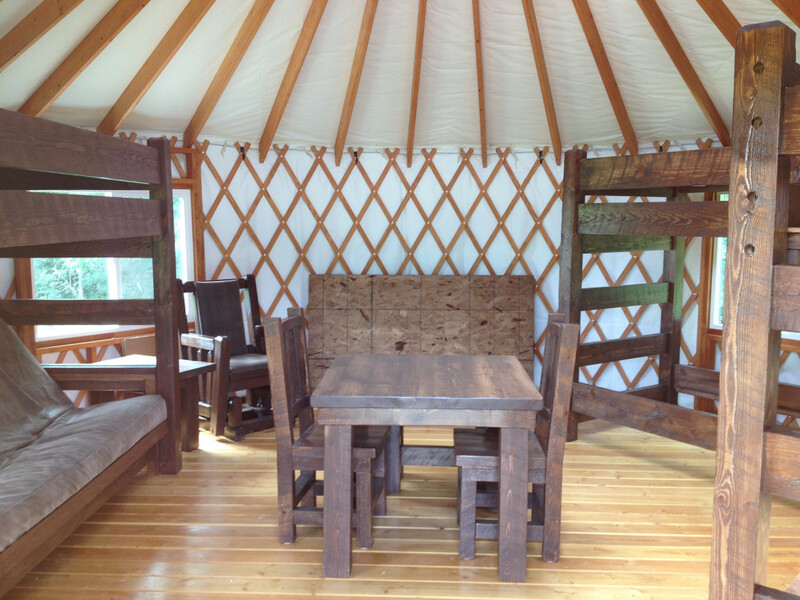 Constructed with wood frames and insulating canvas, the yurts are anywhere from 16 to 20 feet in diameter, providing a perfectly rustic winter shelter. 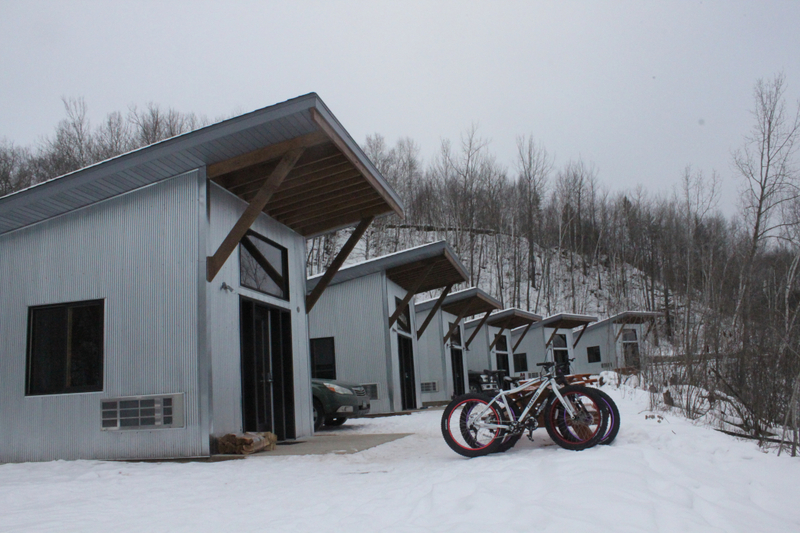 True North Basecamp features six cabins that are situated right on the edge of Cuyuna Country State Recreation Area. They are heated and have electricity, but do not feature kitchens or running water. A separate shower house has bathrooms, running water, and showers. 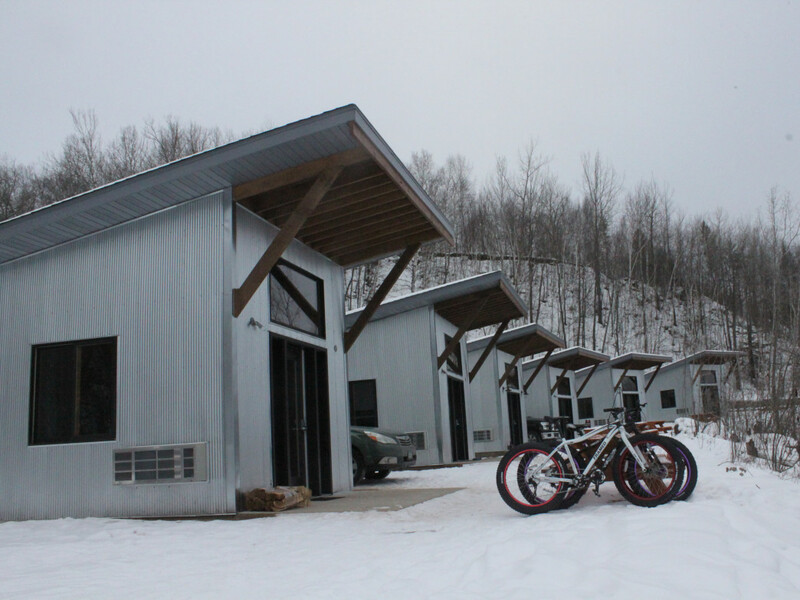 A great home base for a weekend of fat biking, these cabins are some of the only accommodations in the area. They are directly connected to the trail system so you can literally walk out your front door and hop on your bike. Situated between prairie and hardwood forest, Glendalough State Park offers an ideal winter weekend getaway. Sleeping five to six people, the four camper cabins on site feature electricity and propane fireplaces. The two available yurts are hike-in only via the Annie Battle Lake Trail. They have indoor wood stoves and firewood available on site. With 8 miles of groomed ski trails, off-trail snowshoeing, ice fishing, and a sledding hill, there’s something for everyone at Glendalough. 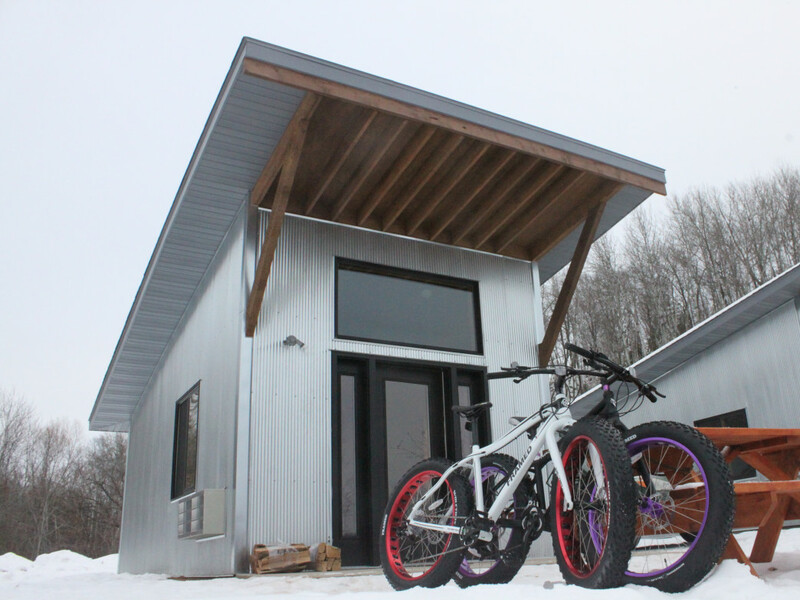 Dakota County’s three camper cabins at Whitetail Woods Regional Park are one of the most unique glamping options around. 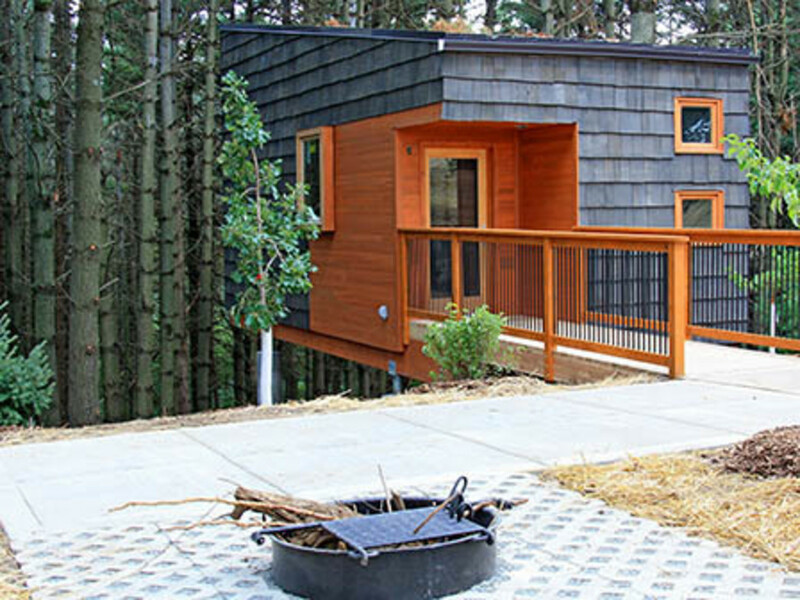 Situated within a pine forest, these six-person, 227-square-foot cabins have heat and electricity. The moment you walk in, you’ll see why these cabins have been a hit among locals. The signature rustic modern design even won Whitetail Woods a 2015 AIA Minnesota Honor Award presented by the American Institute of Architects. When you aren’t warming up in these impressive little cabins, the park features great hiking, cross country skiing, and snowshoeing trails. One of the few remaining places to experience the maple, oak, and basswood forest that makes up the Big Woods, Lake Maria State Park is a favorite among cross-country skiers and snowshoers. Rolling terrain, remote lakes, and gorgeous scenery provide a perfect respite from the city. The park’s three log camper cabins are located a half mile to a mile from the parking area, requiring you to hike in. Each cabin sleeps six people and has a wood stove for heat, but no electricity. 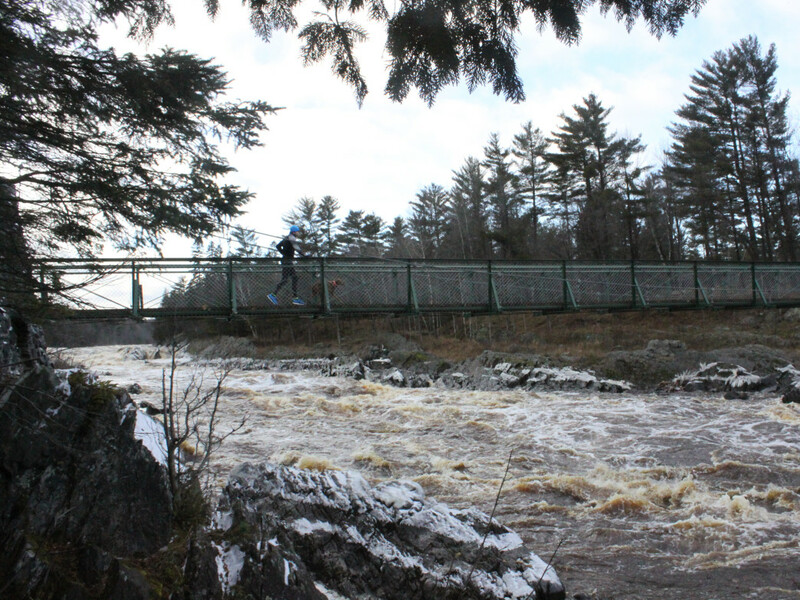 Jay Cooke State Park is known for is amazing hiking trails and famous swinging bridge that hangs over the St. Louis River, but it also offers year-round camper cabins. All five cabins on site have electric heat, sleep 5 to 6 people, and have bathrooms nearby. If the weather warms, the cabins’ screened-in porches provide a perfect place for an apres-ski beverage.